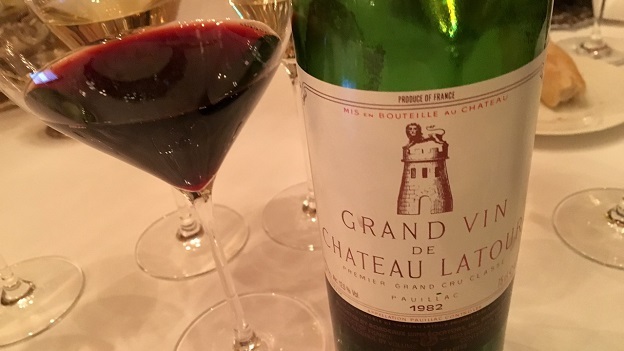 From the moment it is first opened the 1982 Château Latour is magical. Deep and still vibrant in color, but showing the translucence of age, the 1982 opens with intense, soaring aromatics that hint at what is to come. One taste is all it takes to confirm that the first impression is spot-on. This bottle, from an original wood case purchased on release, is a poignant reminder of how importance provenance is. The 1982 is simply stunning in its beauty. Vivid, multi-faceted and totally sensual, the Latour captures all the best qualities of this famous vintage. In 1982 yields were high, there was essentially none of the sorting that has become de rigueur, and cellar practices were far less ideal on paper than they are today. And yet, the 1982 is simply stunning. What else can I ask for in a wine? Absolutely nothing. Except for a hope to run into it again. Well-stored bottles will keep for another two decades, although my impression is that the 1982 is not going to improve much from here. Actually, it can’t improve. This is as good as wine gets. 100/Drink 2016-2036.